Figure 3 Weight for length for girls aged 0 to 120 months. 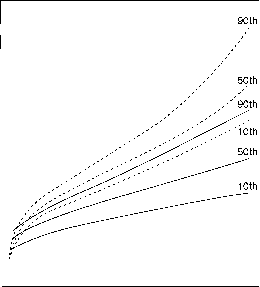 The solid line represents girls with quadriplegic cerebral palsy and the dotted line represents the National Center for Health Statistics standard curve for 10th, 50th and 90th percentiles. Figure 4 Weight for age for boys aged 0 to 120 months. 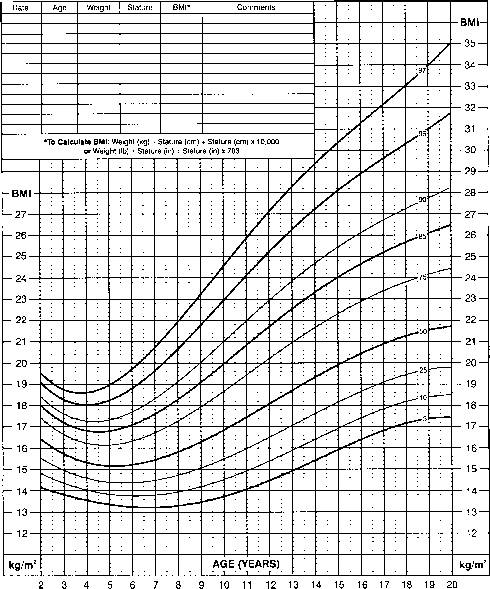 The solid line represents boys with quadriplegic cerebral palsy and the dotted line represents the National Center for Health Statistics standard curve for 10th, 50th and 90th percentiles.